We are proud of our competitions, but this year we have a bit of a celebration. This year we run the INTA Open for the 20th time, making it the longest running Open International ITF Taekwon-Do competition in Europe! So far we have guests arriving from Belgium, Scotland, Wales, Norway, and Northern Ireland. We hope you can join us this year, and be part of this fantastic competition. 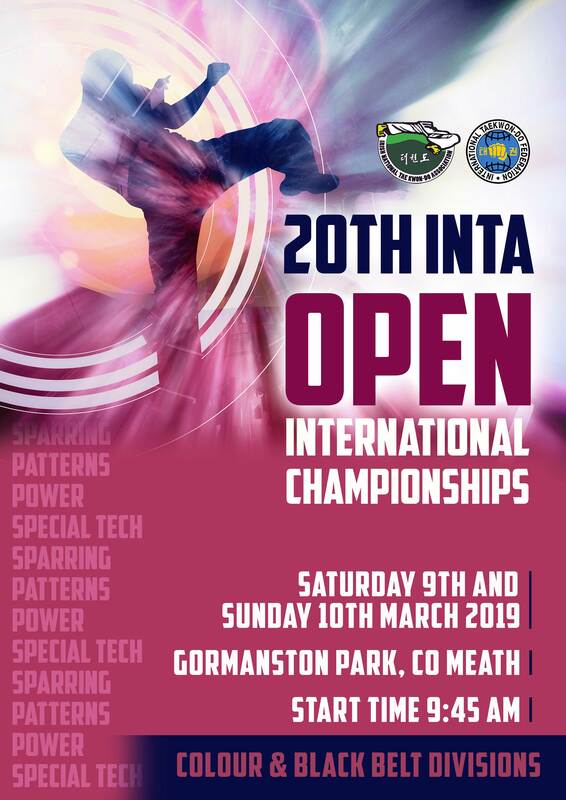 The 20th INTA Open International ITF Taekwon-Do Tournament will be held in the Aras Preston Sports Complex, Gormanston Park, Gormanston, Co. Meath. Saturday 9 March 2019 9:45 a.m. – All junior colour belts up to 13 years of age. Sunday 10 March 2019 9:45 a.m. – All 14 years and older and all junior black belts.